Having a Facebook Shop set up on your Facebook business page is a great way to reach your loyal fan base and makes promoting your products on Facebook a breeze, but if you already sell your handmade products via Facebook, you’re no doubt sick of entering all your product details into multiple systems, and having to respond to purchase enquiries on messenger and send invoices manually. Can I get a hell yeah? 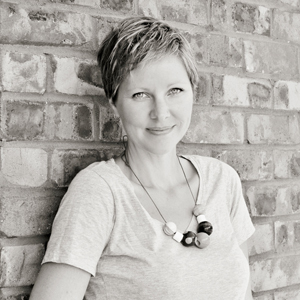 Did you know there is a less manual way to stock your Facebook store? And did you know you can set up each product in your store to send customers directly to the relevant product page of your online store, where they can add the product to cart and check out, without you lifting a finger? The answer is Facebook Catalogs. They’re capable of all that and much more! If you create a Facebook Catalog, not only can it populate your Facebook store, but it will also let you tag products in the photos you post on your page – and those tags are shoppable! Yup, when you tag products, not only will your followers see details like the product name and price, but they can click on a tagged product to be taken straight to the relevant product page of your online store. There they can add that baby to their cart and checkout seamlessly. Meanwhile, you’re sipping cocktails on a beach somewhere sunny…. or maybe you’re running kids around to footy practise and doing the grocery shopping…. potaytos, potartos. The point is, you don’t have to be glued to your phone in case someone is trying to buy something from your Facebook store. 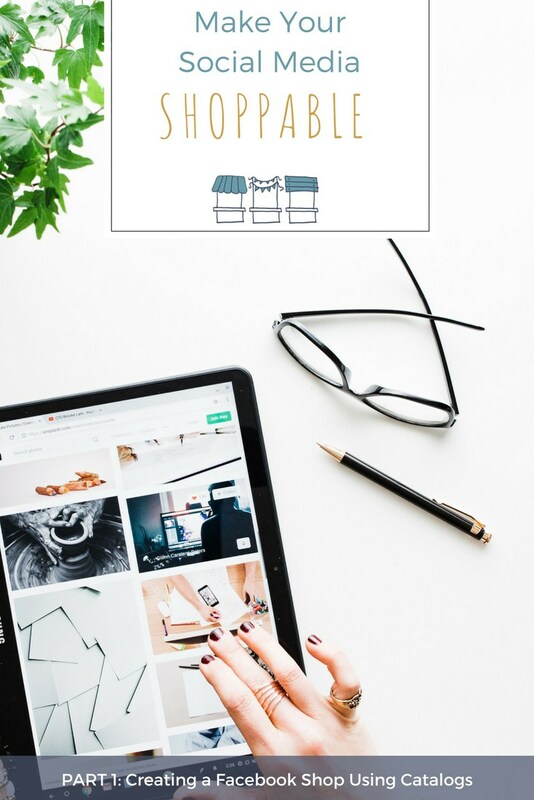 If that ain’t enough, Instagram is currently rolling out a shoppable post feature across Australia, so when your Instagram account becomes eligible (if it’s not already) you can use that same Facebook Catalog to tag your products on Instagram as well! No more ‘link in bio’ rubbish, just pretty pictures, witty captions, and direct links to your store. “But I’m a prolific crafter - how do I get ALL my product listings uploaded to a Facebook Catalog without typing out every single detail manually?” I hear you ask. I’ve got more good news! There’s a bit of a process to get all of the above features working, so this week I’m just going to show you how to get your products from Madeit, into a Facebook Catalog and your Facebook Store. In the next blog or two I’ll cover shoppable posts in more detail. There’s a few steps to follow, but don’t freak out… it’s all fairly easy and I’ve taken screenshots every step of the way, so let’s do this! 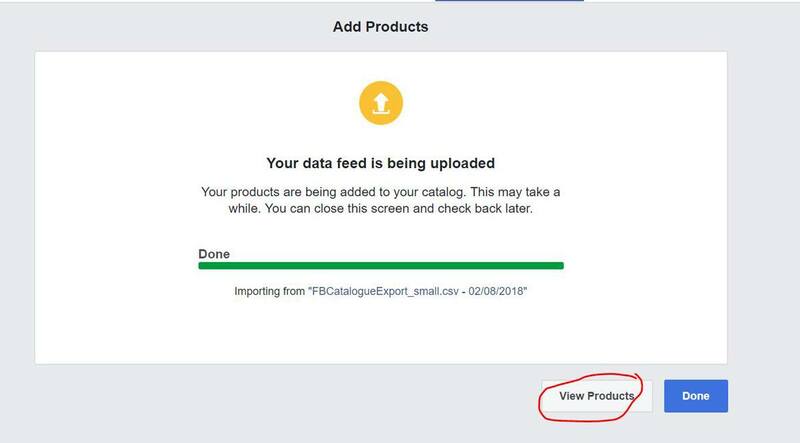 To export your product details from Madeit, make sure all the required products are active and up-to-date in your store, then click on the Export Items link in the left menu. Just click the Export button to save your listings as a .CSV file. Files will automatically download to your computer’s default download location (on windows the default is usually: C:/Users/[Your Windows Username]/ Downloads). On your Facebook page, select the Store option in the left menu. If you don’t already have a store set up, you’ll see the below pop-up asking how you want your customers to check out. Select ‘Check Out on Another Website’ and click ‘Continue’. Now you have created a Facebook store, you need to add some products to your store catalog. When you created your store, a default catalog was created. 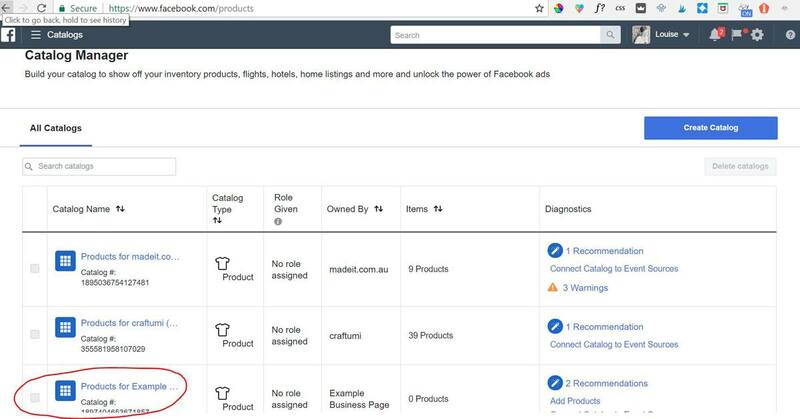 Currently you can only add products to your store via this catalogue, and creating new catalogs will work for Facebook tagging, but you won’t be able to get those products to show in your Facebook Store. So, the next step is to find and populate the default catalog that was created for your store. To do this you need to go to your Catalog Manager. It’s worth bookmarking the page for updating your Facebook Catalogs in the future. If you only have one page and you haven’t created any catalogs already, you should just see the one default catalog for your Facebook Store. It will be named ‘Products For [Your Facebook Page Name]. Click on the catalog name. Then click the ‘Add Products’ button. Next you’ll see a screen that asks how you’d like to add your products. 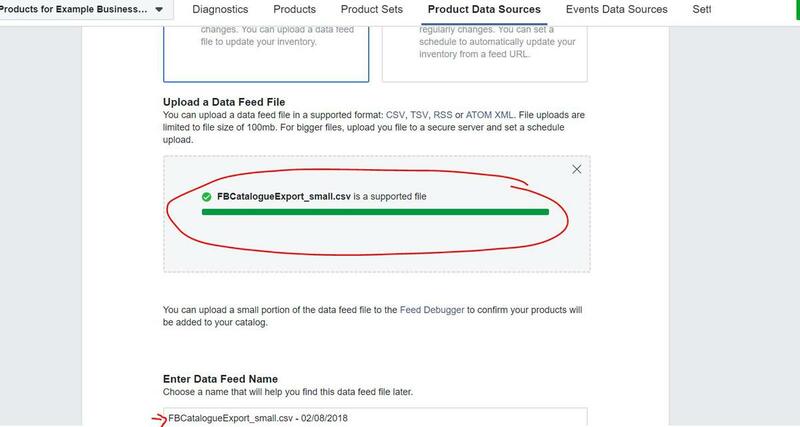 Select ‘Use Data Feeds’. On the next screen, choose ‘Upload Once’. Then scroll down a little and click the ‘Upload File’ button. A dialogue box will open for you to navigate to your already saved .CSV file (that’s the one you exported out of Madeit earlier). 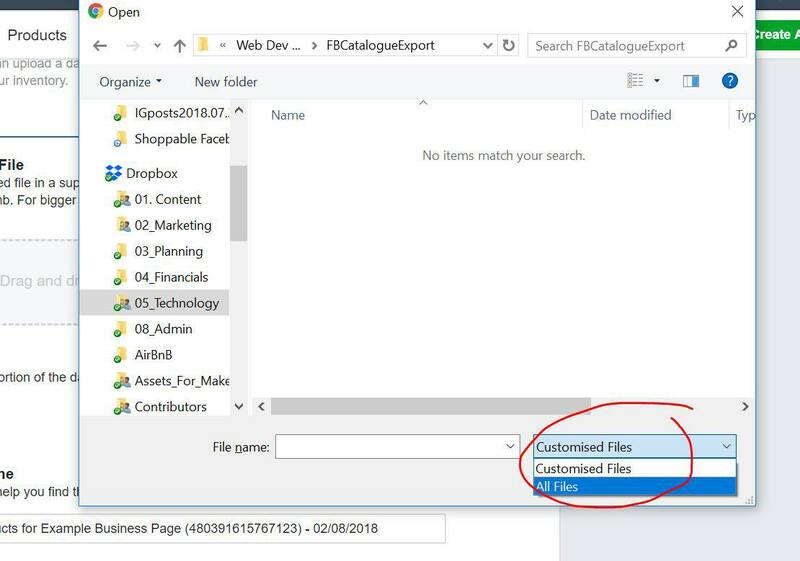 Navigate to the folder your file was saved in and if you can’t see your file in the list, change the drop-down menu at the bottom right to ‘All Files’ as shown below. Then select your file from the list and click ‘Open’. 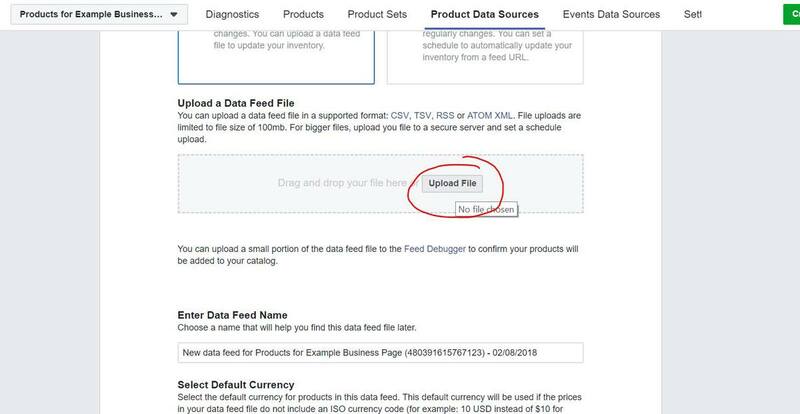 Facebook will then validate that the content in your file is formatted correctly. So long as you haven’t changed the file since downloading it from Madeit, you will see the green bar once the file is validated. Near the bottom of the page you’ll have the option to choose a different name for the file if you want to. Then select AUD – Australian Dollar from the pick list to set your currency and click the ‘Start Upload’ button. You may have to wait a while for the file to upload if you have a lot of products, but it usually only takes a minute or two. Once the file has uploaded you’ll see the green validation bar again. Click the ‘View Products’ button to check that your products look as they should. Your catalog should look something like this (I’ve uploaded a few random listings from Madeit in this example). You can also go back and refresh your shop product page and you’ll see all these products are now in your shop. 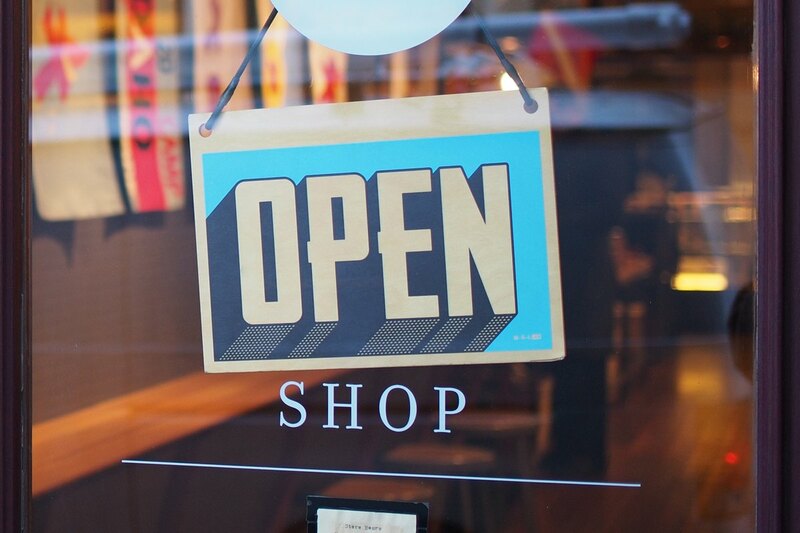 To view your shop as customers see it, click the ‘View Shop’ link towards the bottom of the left menu (this is in your Facebook Page Publishing Tools, rather than the Catalog Manager). You now have all your active Madeit listings in your Facebook Shop, and when clicked, each product will send your customers directly to the appropriate Madeit product page where they can add to cart and checkout without you having to do a thing! 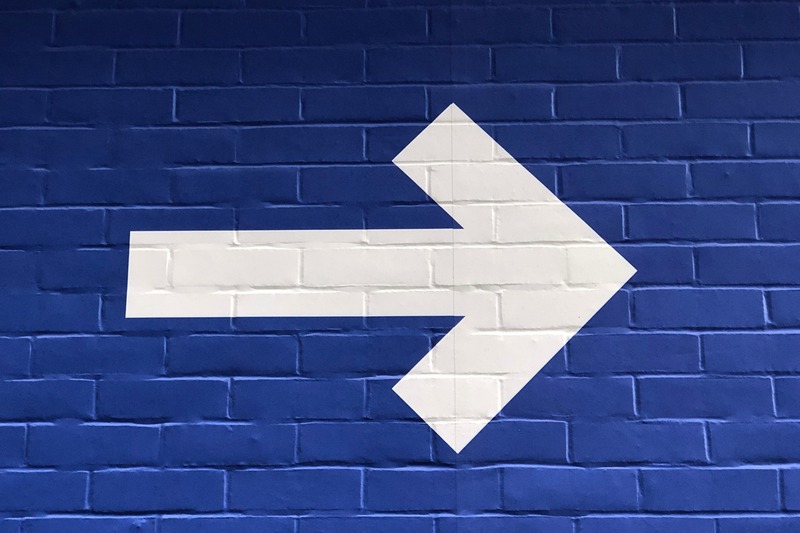 When you make changes to your listings, and periodically as you make sales etc, you need to update your catalog to reflect the latest information, eg. changes in price or availability. To do this, make any listing changes as required in Madeit, then download the latest data on the Export Items page in My Madeit. 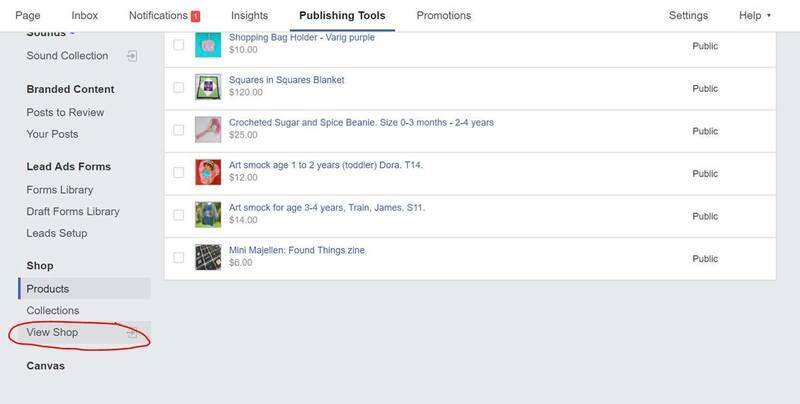 Then head back to Catalog Manager and select the Facebook Catalog associated with your Facebook Store. Click on ‘Product Data Sources’ at the top of the screen, then click the ‘Upload Now’ button as shown below. If you saw any errors in your initial upload, you can set rules (optional) to fix some issues. For example, if you get an error that says your product description can’t all be in capitals, you can apply a rule to the description column that changes the capitalisation to capitalise the first word in each sentence as shown below. Click ‘Save & Apply’. Scroll down to the Single Upload section and select the ‘Via File Upload’ option. IMPORTANT: The Madeit export file only includes your active listings, so you need to leave the ‘Update Only’ option switched OFF as shown below. This will mean any products that are no longer active in your Madeit store (because you have ended the listing or it has sold) will be deleted from your store when you upload the new file. 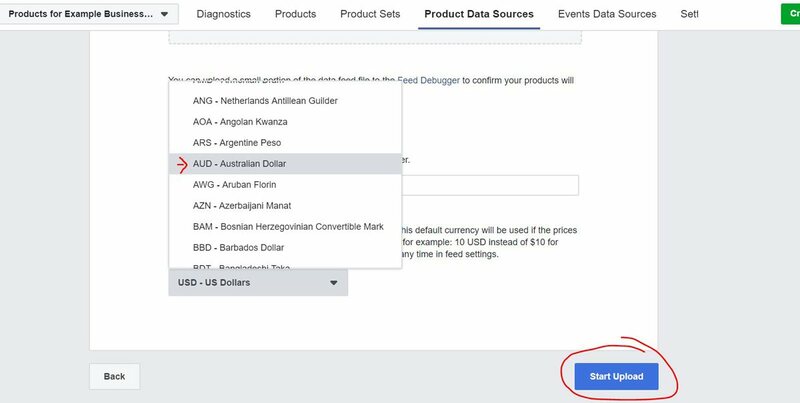 Facebook’s terms require that you don’t advertise products as available if they are not available for purchase, so this step will ensure you are only promoting your current products. 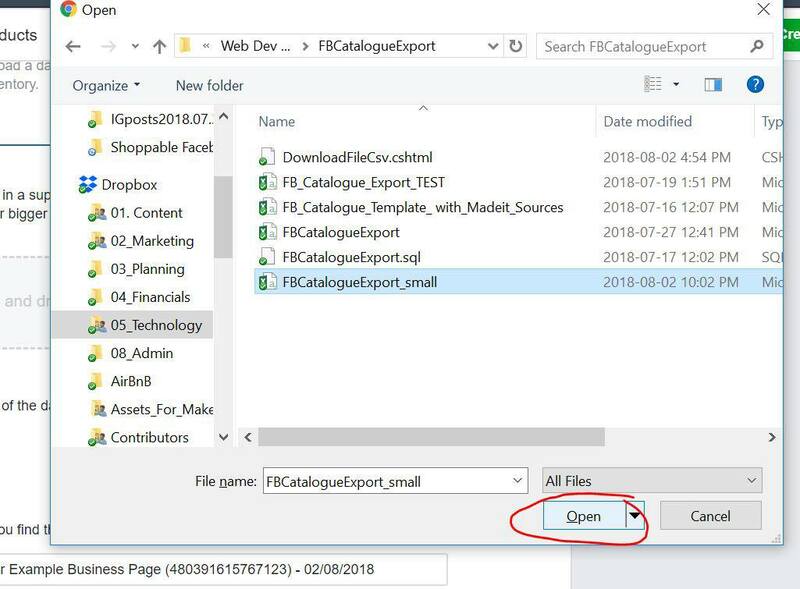 Click the ‘Upload File’ button and choose your latest Madeit export file (don’t forget to change the drop-down to ‘All Files’ if you can’t see your file). Click the ‘Replace’ button to start the upload. Once your file has uploaded, check that your store is reflecting your changes, and you’re done! 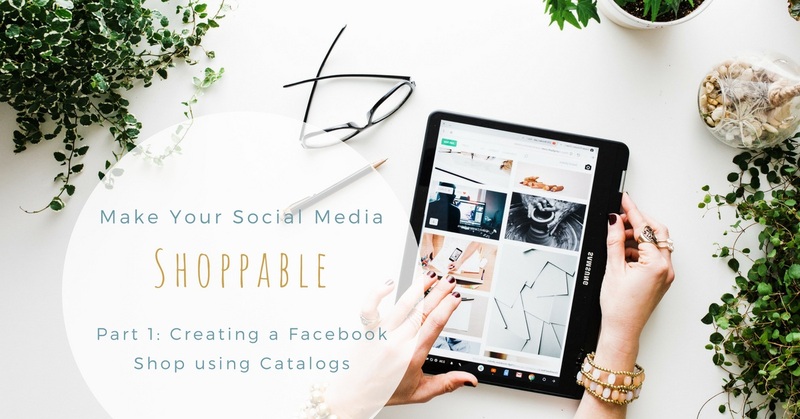 That’s probably enough to play with for this week, but in the next post I’ll go over how to use your new Facebook Catalog to make your Facebook and Instagram posts shoppable. This was brilliant Louise. Thanks so much for your effort in detailing how to do this. Worked perfectly. Got it sorted, somehow I was managing to add products to my personal page instead of business page. Thank you for the info. This was very informative, thank you! Worked perfectly.